St. George Square is also called the Palace Square or Misrah il-Palazz. The square is the most prominent and largest square in the city. 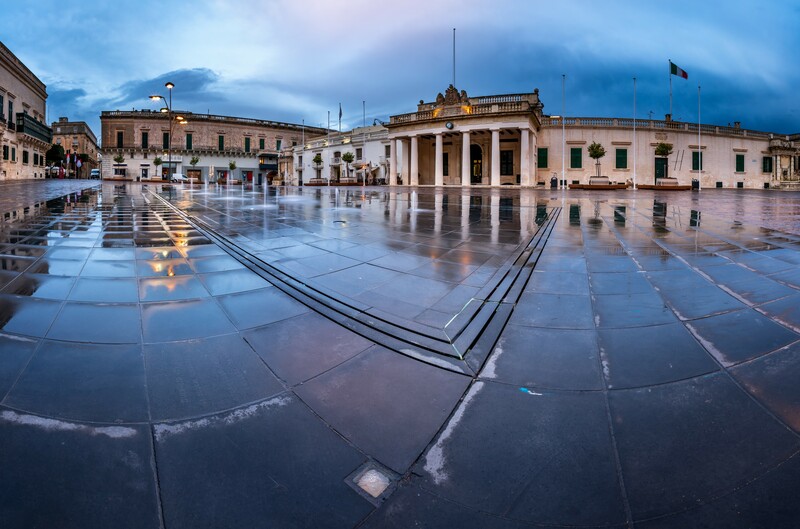 St. George Square is just outside of the Grandmaster’s Palace and is located in the heart of Valletta. The square’s appearance has changed over the years, but it is still one of city’s most important areas. St. George Square is home to many of the events and celebrations that take place in Valletta. In St. George Square, there is a glass panel located over a stone slab. Many visitors are puzzled by this. The stone was found during one of the renovations of St. George Square. There is the belief that the stone was used during Kukkanja. Kukkanja was a popular Carnival game during the time that the Knights of Malta reigned. 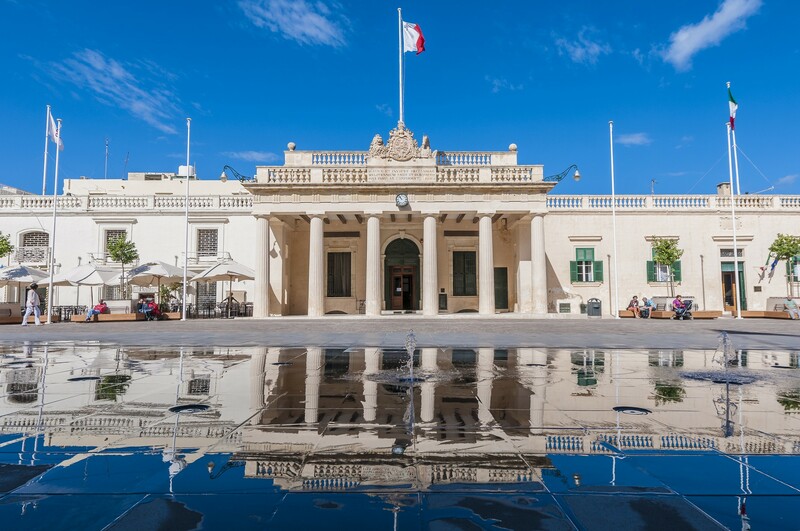 The Grandmaster’s Palace was completed in 1565 and has been the home of Government on the island. The Palace was used to house the Governors, during the British rule. 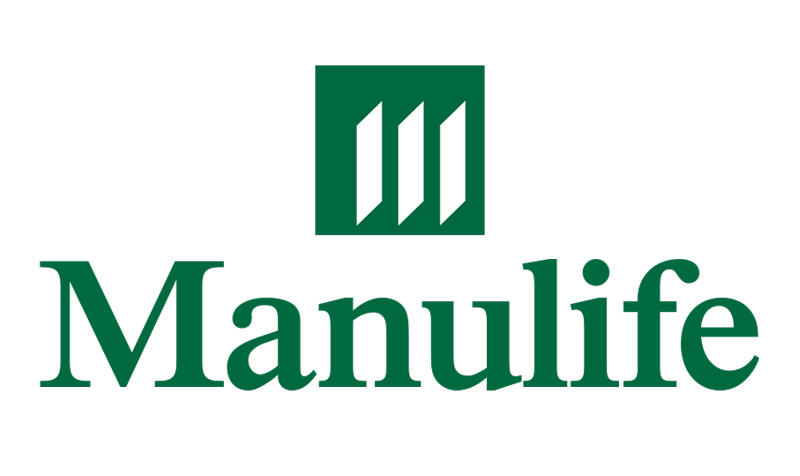 During 1571, Grandmaster Monte saw the land and soon talked the Order into buying it and built a palace. Overtime, the Grandmasters made changes to the palace and continued to build onto it. This is why the palace is so large and magnificent today. Soon after the palace was completed, St. George Square started to be developed. The Wingacourt Fountain was built to celebrate the completion of the Wingacourt Aqueduct, and it was placed in the centre of the St George square to show off its beautiful design. On April 1615, the fountain was inaugurated. 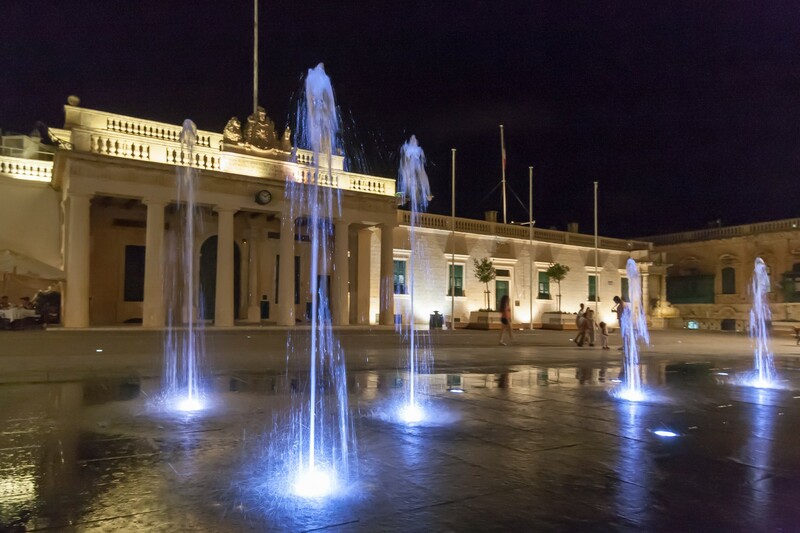 It is the 1st fountain that was built after the aqueduct completion on Valletta. Today, the foundation is located in the St. Philip Gardens in Floriana. The reason the British removed the fountain was to allow for military parades in St. George Square. The fountain was originally moved and placed in the courtyard of Auberge d’ Auvergne, which was destroyed due to the war. Then the fountain was moved again after Auberge d’ Auvergne was destroyed, and was placed in the gardens. St. George Square has a long history and is still the most important square on the islands. The square has been home to many celebrations and carnivals. While St. George Square has been used for many people’s enjoyment, there have also been riots in the square. This includes the events of Sette Giugno in 1919. There is a monument in the square today for the victims of the riots. The square was also nearly destroyed during the war by bombs. The square is still used today for many of the local events.